FTEJerez trains an increasing number of pilots for some of the world’s leading airlines every year. 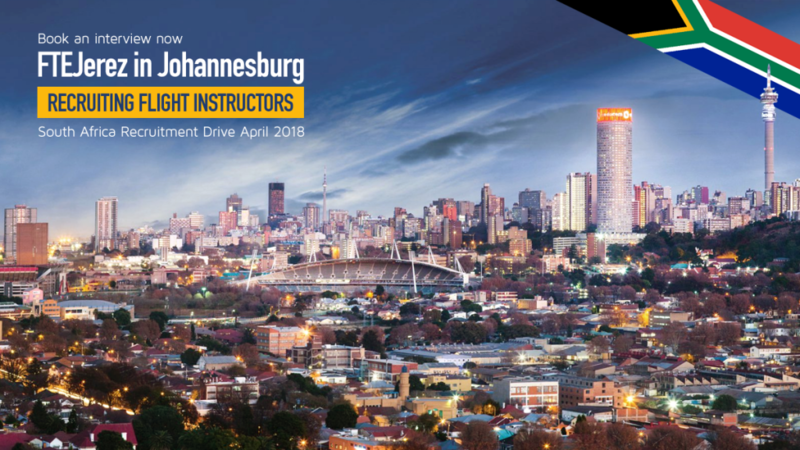 Thanks to our constant growth we are now looking for flight instructors and we are currently welcoming South African FI’s to apply. Based at the international airport at Jerez de la Frontera, Spain, selected candidates will be flying FTE’s fleet of PA28 and DA42 aircraft, whilst enjoying southern Spain’s outstanding climate and culture all year round. FTEJerez operates 50 weeks/year, 7 days/week and offers a competitive salary, an excellent set of Terms & Conditions and a comprehensive support package to assist with the move to Spain. In particular for South African candidates, FTEJerez is prepared to offer the ideal candidates an EASA conversion and to sponsor their EU work permit. Criteria for the positions available is as follows: EASA or SA CPL/IR or ATPL with FI Rating, 500 hours TT, 200 hours instruction. Special consideration will be given to instructors with IRI, ME CRI, CPL FE, IRE, FIC or FIE qualifications and those who already hold EASA licences and/or the right to live and work in the EU. FTE’s Programme Manager will be visiting SA with a presentations taking place at Rand Airport, Johannesburg, the following 18th of April from 2pm to 5pm. During the presentation, further details will be provided. This seminar was already held. Stay tuned for upcoming events!